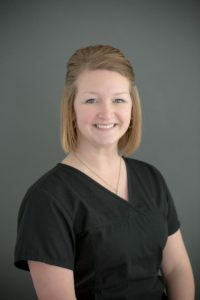 Nicole graduated from Hawkeye Community College in 2010, and joined Central Park Dentistry in 2013 as a dental assistant with expanded functions. Nicole loves working with her coworkers and takes pride in the wide variety of services we offer. She also enjoys making patients feel comfortable in our office and seeing their gratitude and compassion. Outside of the office, Nicole likes spending time outdoors, hunting, running, biking, and golfing. Jane graduated from Hawkeye Community College in 1992, and has been a part of our team since 2008. 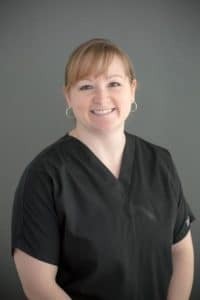 In addition to being a registered dental hygienist, Jane is also certified in local anesthesia, and is a member of the local chapter of the American Dental Hygienists Association (ADHA). 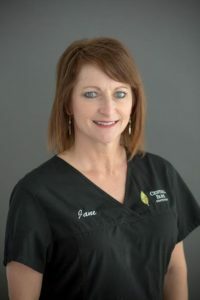 Jane loves working with great coworkers and having the opportunity to further dental knowledge. She’s skilled at making patients feel comfortable and enjoys witnessing them enjoy their pretty new smiles. She also loves learning about patients and their families from personal stories. Besides being an RDH, Jane also enjoys fishing, hunting, motorcycling, and golfing. 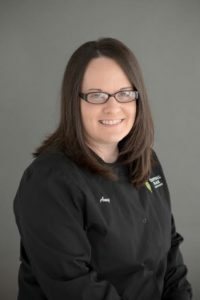 Michelle graduated from Hawkeye Community College in 2004, and became a part of the Central Park Dentistry team in 2008 as a registered dental assistant with expanded functions. 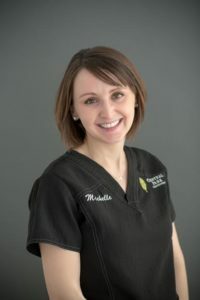 Michelle loves working with an awesome team, where everyone is like a close family, and is quick to point out that we have the best patients. She loves getting to know them and their families, as well as taking time to make patients feel more comfortable. When she’s not in the office, Michelle likes to spend time with friends and family, boating, and shopping. Before joining our practice in 2014, Dawn graduated from NIACC with an Office Associate Degree. She exclaims that her co-workers are the best she’s ever worked with, and loves the rewarding, challenging variety of the job. 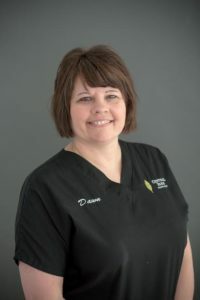 Dawn also enjoys meeting new patients and personalities, easing their fears, and seeing their appreciation after each visit. Besides helping patients, Dawn enjoys shopping, 4-wheeling, watching movies, going on dates with her husband, and spending time with her grandchildren. 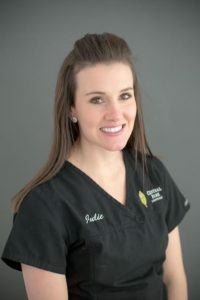 After graduating from Hawkeye Community College, Julie joined the Central Park Dentistry team in 2014. As a dental assistant certified in expanded functions, Julie enjoys working with her coworkers so much that coming to the office is easy. Her gift is in helping patients stay comfortable in the office and giving them a bright, confident smile. Julie enjoys anything outdoors, running, golfing, shopping, and being with family and friends. 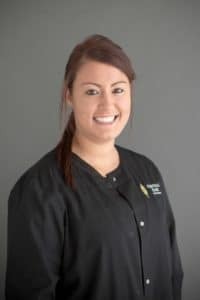 Brittany joined Central Park Dentistry shortly after graduating from Hawkeye Community College in 2015, and is certified in the administration of local anesthesia. Brittany loves the fact that her coworkers are always a joy to be around, as are her patients. She is also proud to be able to help patients achieve the smile that they want, and seeing them happy when they do. Brittany enjoys doing anything outdoors, including riding horses, boating, and golfing. Amy received her Associate of Applied Science in Dental Hygiene degree in 2007 from Hawkeye Community College. In 2013, she started working part-time at Central Park Dentistry, and then joined our team full-time in 2015. As a Registered Dental Hygienist, she is also certified in CPR and X-ray technology. Amy is a member of the American Dental Hygienists Association and is Treasurer of the Iowa Dental Hygienists Association. She has also volunteered with Iowa Mission of Mercy. Amy loves that each patient is unique, and enjoys seeing them improve their overall health by maintaining healthy, beautiful smiles. She has a talent for helping fearful patients feel more calm and relaxed by helping them overcome their fears. Outside of helping patients, Amy’s main passions are singing and watching Iowa football. Linda became a Registered Dental Assistant in 1989, and became certified in expanded functions in 2005. She became a part of the Central Park Dentistry family in 2013, and enjoys working with patients of all ages. Linda is especially talented at getting to know patients and helping them feel comfortable in the dental chair as we improve their smiles. Outside of the office, Linda loves to read, bike ride, cook, bake, and spend time with family and friends. She regularly supports the Upper Iowa Peacocks, the Iowa Hawkeyes, and the New Hampton Chickasaws. Wendy graduated from Hawkeye Community College in 2002 and became a part of our team in 2008. She loves the awesome people and patients she works with, and helping them achieve excellent oral health while getting to know them personally. In her downtime, Wendy enjoys gardening, fishing, and spending time with her family. Amanda graduated from Hawkeye Community College in 2006 and began temping with our office in 2015. As a Registered Dental Assistant, she is also specially certified in expanded functions. She enjoys working with such wonderful co-workers and meeting new people. She particularly loves cosmetic cases and seeing people’s joy in smiling again. Amanda especially loves treating children, as well as listening to our older patients share stories of their childhood. Outside of work, Amanda enjoys volunteering as a board member of Up with Families and a member of Dravet.org, which raises awareness and funds for families dealing with Dravet syndrome. She also enjoys spending time at the lake and river with her family and watching ISU football games in the fall. Tamie graduated with her Associate of Applied Science Degree in 2000, and joined our practice as a Registered Dental Hygienist in 2017. She is also licensed to administer local anesthesia and nitrous oxide sedation, and is a member of the American Dental Hygienist’s Association. Tamie loves the co-workers and patients she interacts with every day. She enjoys helping them achieve the smile they’ve always wanted, and loves teaching them as much as she loves learning from them. In her free time, Tamie volunteers at SNAP and New Hampton’s Animal Shelter, and enjoys going with her kids to their activities, farming, and amateur photography.